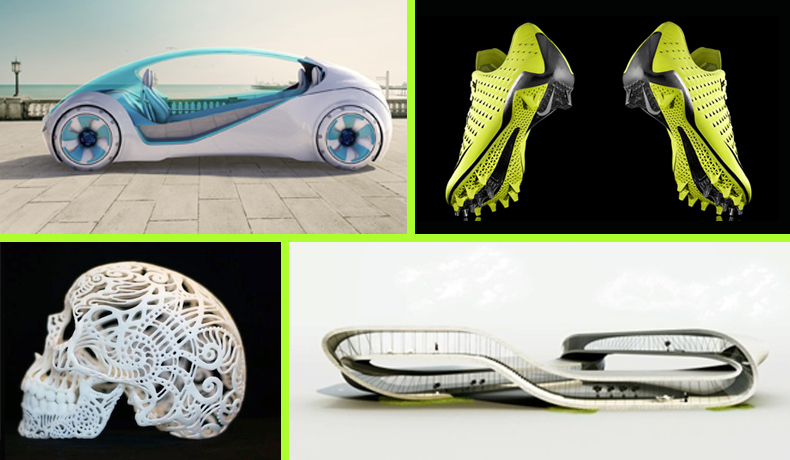 A few examples of products and designs for 3D printing. 1. Take a 3D digital file, created yourself through computer-aided design (CAD) software or downloaded from sites like Shapeways. You’ll know it’s the right kind of file by the .stl ending (for “Standard Tessellation Language” or “stereolithography”). The software will divide the design into digital layers and translate it into a language of three-dimensional polygons that 3D printers understand. 2. 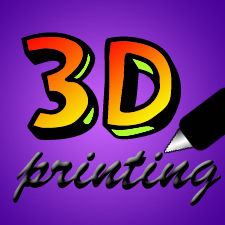 Send the file to a 3D printer, which will then “print” the design layer by layer of approximately 100 micrometers each, using your choice of materials. Hence the term “additive manufacturing”: while typical subtractive manufacturing constructs objects by cutting a desired shape from raw materials, 3D printing builds objects by adding material in layers. 3. Enjoy the 3D rendition of your design, customized exactly to your specifications and ready for use, sale, display, or any other desired purpose. With its enormity of possibilities for customization and creativity, 3D printing stands to revolutionize the entire dynamic of consumer culture. Even the most passive consumer can become an active creator, designing and producing unique objects at costs competitive with basic retail prices. This new technology can essentially operate as small, cost-effective production runs for engineers, artists, designers, and the like who want to sell their ideas without the risks attached to inventory management and finding a viable market. Creators can design a new product and produce it on demand, so regardless of whether ten people or ten thousand people buy it, they stand to lose nothing. So what does this mean for companies with distinctive brands and designs that rely on a creative niche, or on patents and copyrights? How can they prevent unauthorized reproduction of their products and maintain a claim to originality if consumers can simply reprint their wares? As it stands, there are no legal precedents or case laws that address this yet, since the technology is still so new. However, the opportunity to use, experiment with, alter, and improve upon ideas could mean great leaps towards general scientific and technological progress. This is the concept embraced by the open source movement. If we are free to create and recreate, working towards a “better” product, we are much more likely to break ground in areas such as medicine, engineering, environmental sustainability, science, and much more. For instance, forays have already been made into the task of replacing essential parts of the Great Barrier Reef that would otherwise take thousands of years to rebuild naturally. Scientists are also experimenting with the possibility of creating structures out of living cells so that patients requiring transplants could have the heart, lung, kidney, or other organs created for them in the hospital using the exact genetic makeup they need to limit – if not eradicate entirely – the risk of rejection. 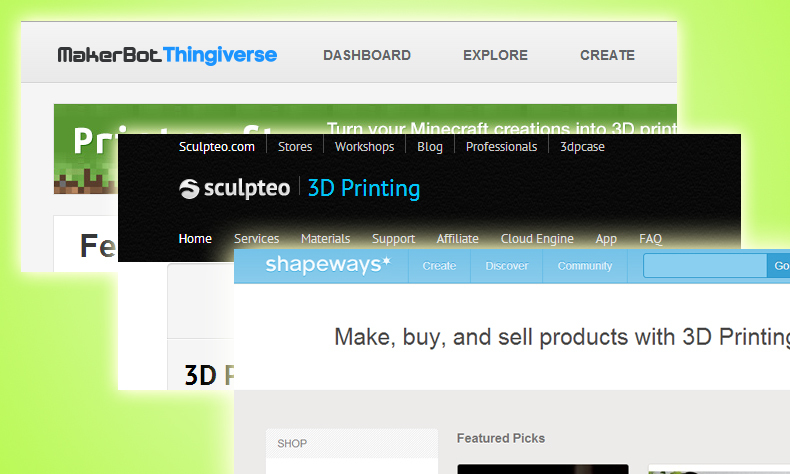 Screenshots of sites devoted to the 3D printing community. So in short, 3D printing is the next great enabler of creativity and innovation – the tools and technology that increase even the average Joe’s chances of affecting enormous change. As Joseph Flaherty of Wired.com explains, 3D printing has inspired a community of eternal innovation in which individuals can finally unleash their pent-up creativity. And we here at Kihada Kreative have certainly witnessed the distance a little creativity can go!